Canada Goose is a Toronto, Canada, based company that is renown for making exceptional extreme weather outerwear. The company specializes in down-filled jackets and parkas, and since the 1970’s has been supplying mountaineering, Arctic and Antarctic expeditions. The clothing is well thought-out, warm and durable, and has earned a well-deserved reputation for cold-weather use everywhere from long urban winters to unrelenting arctic storms. The Timber Shell, however, is a break from the mold as it’s not an insulated piece but rather a waterproof hardshell. The jacket is made of a proprietary fabric called Tri-Durance HS, basically a three-layer waterproof/breathable fabric with inherent stretch. It’s the stretch that really stands out when you put this jacket on — it feels nothing like most rigid hard-shells — and allows for an amazing freedom of movement. 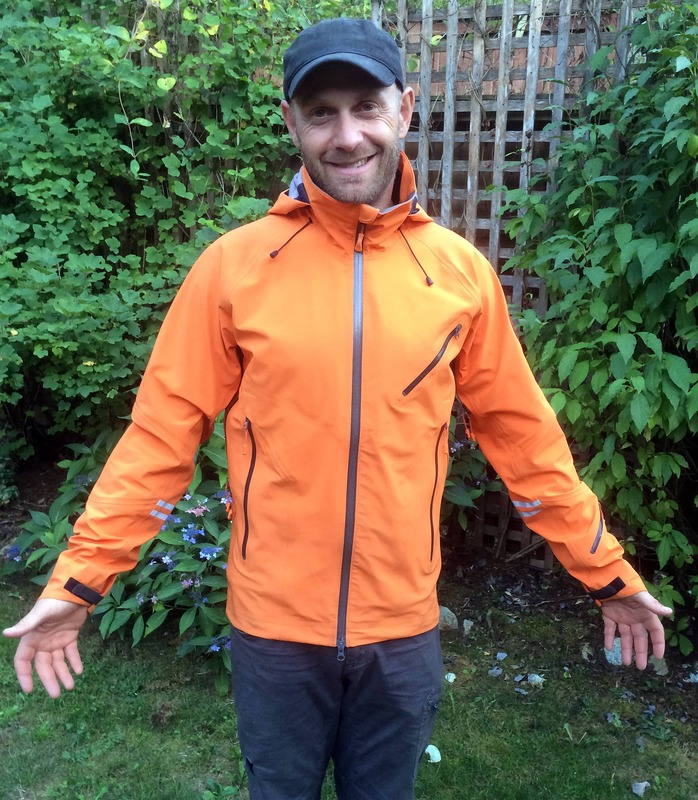 The fabric is just as, if not more so, waterproof as other hard shells and even seems more breathable than comparable jackets. Fit is climber-friendly with a trim torso, long sleeves and a deep hem. 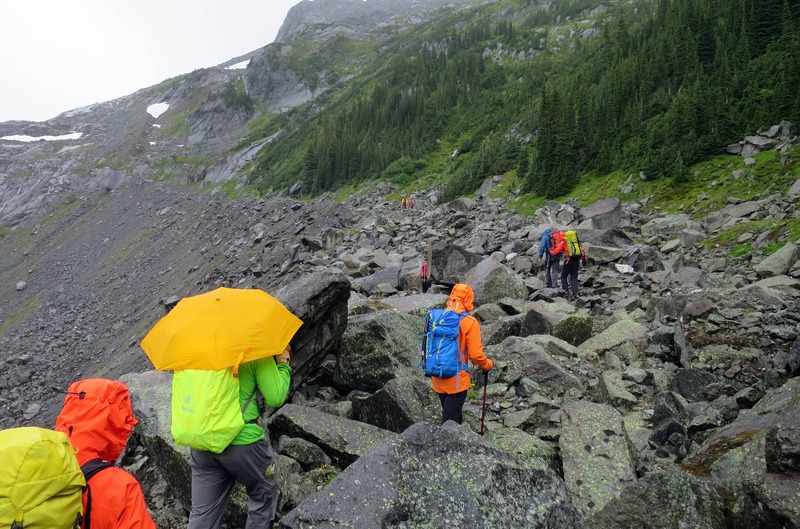 On a recent trip in the Gothic Mountains of B.C., I wore the jacket during an all-day deluge and stayed completely dry (where the jacket was, the rest of me got soaked!). It’s a great jacket and I’ve become a big fan. Definitely a climbers fit, there’s no extra fabric around the waist. The Timber Shell has the typical features like waterproof zippers, a helmet-compatible good, pit-vents and a waist draw cord. It also has a tall collar that is separate from the hood; this is a great feature that keeps snow and water out of your neck when the hood is down. 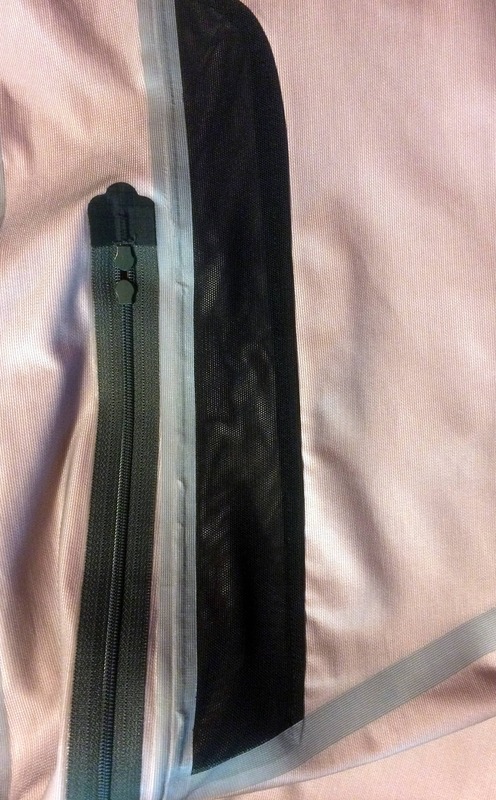 The jacket has the typical dual front pockets but, in a nice touch, these have a mesh strip so you can vent without opening the main zipper. 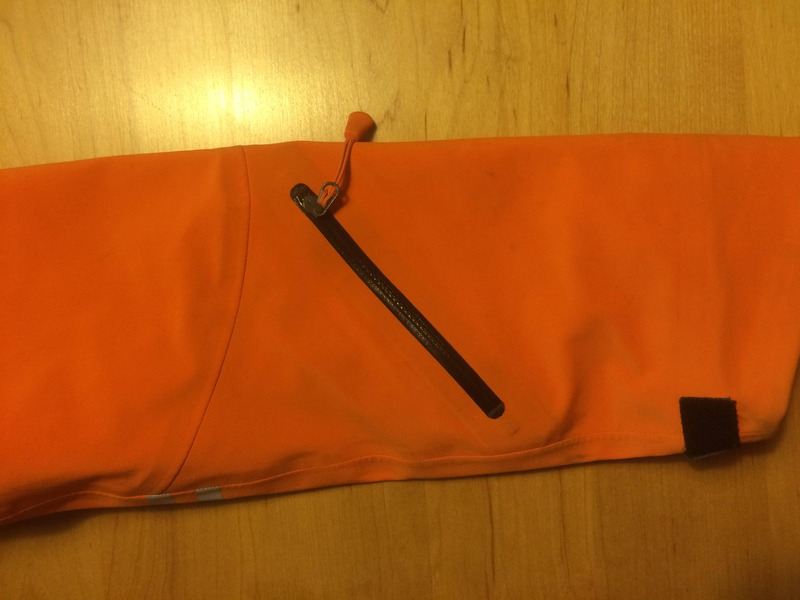 There is also a chest pocket, an inside media pocket and a ski pass pocket on the left sleeve. The pocket design is ok: the chest pocket is smaller than I would like and the jacket is missing an interior dump pocket. The sleeves are longer on the back of the hand than on the inside, and the cuffs are lined with a fine fleece material. This feels really nice on the skin, much more comfortable than typical hard-shell backing; it’s a really nice touch. The collar is lined with the same material; attention to detail I really appreciate. 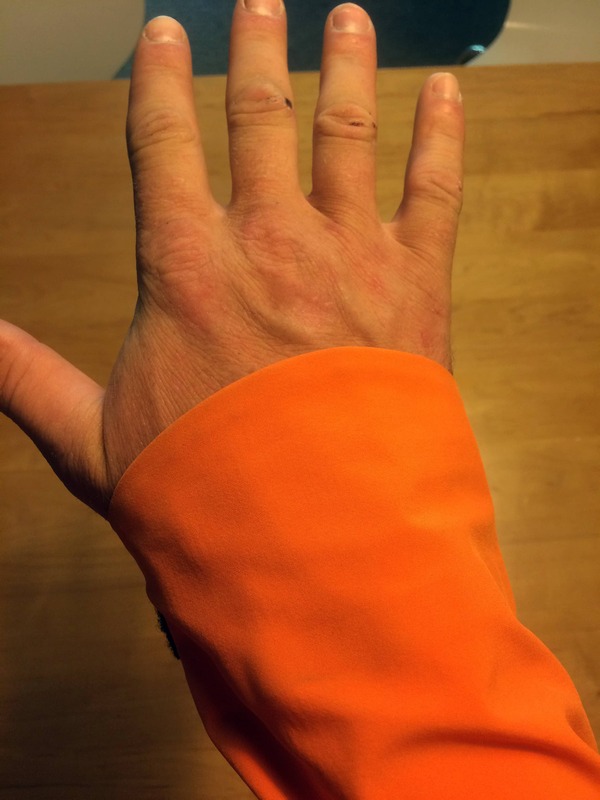 The sleeves are longer along the back of the hand and lined with a soft fleece material. I was initially skeptical of a hard-shell made by a company specializing in down products, and using proprietary hard-shell fabric technology no less. However after several trips and months of use, the Timber Shell has proven to have the fit and performance expected of today’s waterproof/breathable hard shells. The pocket configuration isn’t ideal but that’s the only downside I could find. Overall: A very comfortable and well thought out all-round hard shell jacket that stretches, equally suited to the wet urban environment as a soggy glacier or long alpine climb. Note: Canada Goose provided me with a jacket for review purposes, this in no way influenced my opinion of the product.